Pasta E Fagioli. Or “Pasta and Beans” in Italiano. 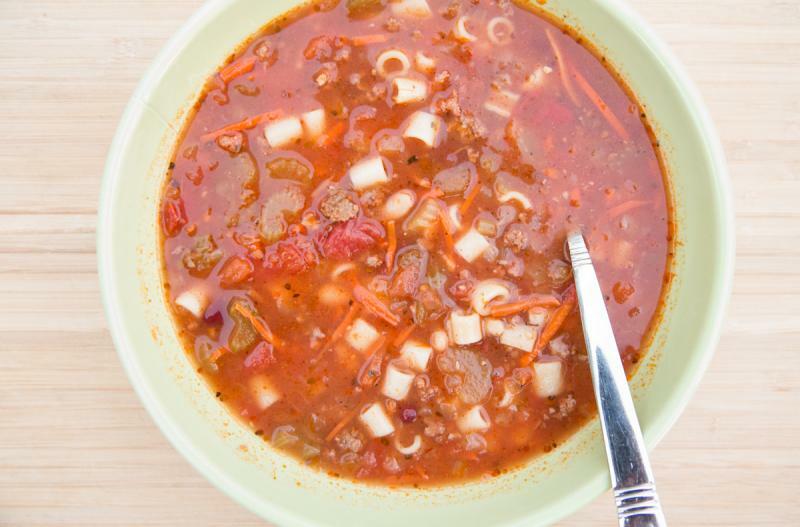 This is a delicious and simple twist on the classic Italian soup. Chop the onion. Slice the celery. Peel and slice the carrots. Open, drain, and rinse the Cannellini beans. Add all the ingredients to the slow cooker except the pasta and garnish. Set slow cooker on low and cook for 8 hours. 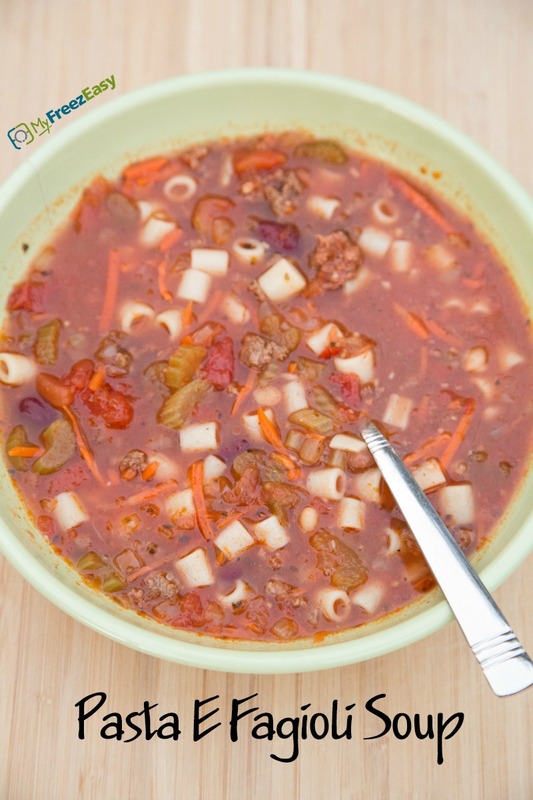 Serve Slow Cooker Pasta E Fagioli Soup with Parmesan cheese garnish and salad. Chop 2 white onions. Slice 4 celery stalks. Peel and slice 8 carrots. Open, drain and rinse 2 cans of Cannellini beans. Put baggie in the freezer and freeze up to 6 months in fridge freezer or 12 months in a deep freezer. Thaw in the fridge overnight, or a warm bowl of water for about 20 minutes, before transferring to the slow cooker and cooking on low for 8 hours. Stir in pasta with 1 cup of water with 30 minutes left in cooking cycle. Use vegetable stock for vegetarian meal. Omit the Parmesan cheese garnish for dairy-free meal. Thaw and slow cook on low for 8 hours. With 30 minutes left in the cooking cycle, add 12 oz. pasta with 1 cup hot water. Serve with shredded Parmesan cheese garnish and salad.